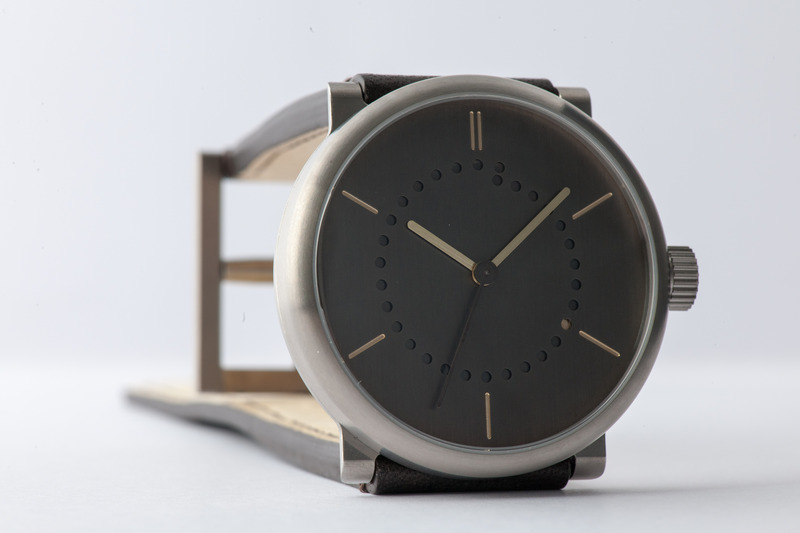 Five new 42mm date patina photos! The patina execution of Ludwig Oechslin’s date watch features a high-contrast dial executed entirely in one material: brass. 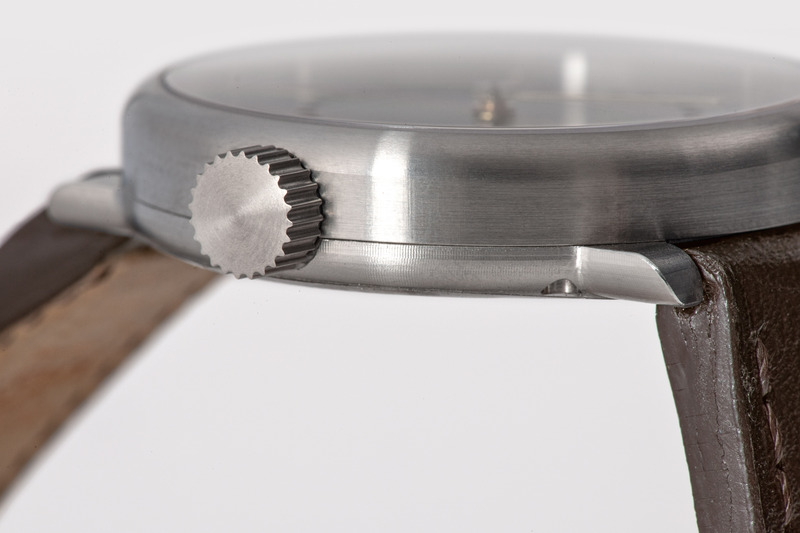 Just two metals are visible on the watch — brass (all dial components including hands) and titanium (case, crown, buckle). 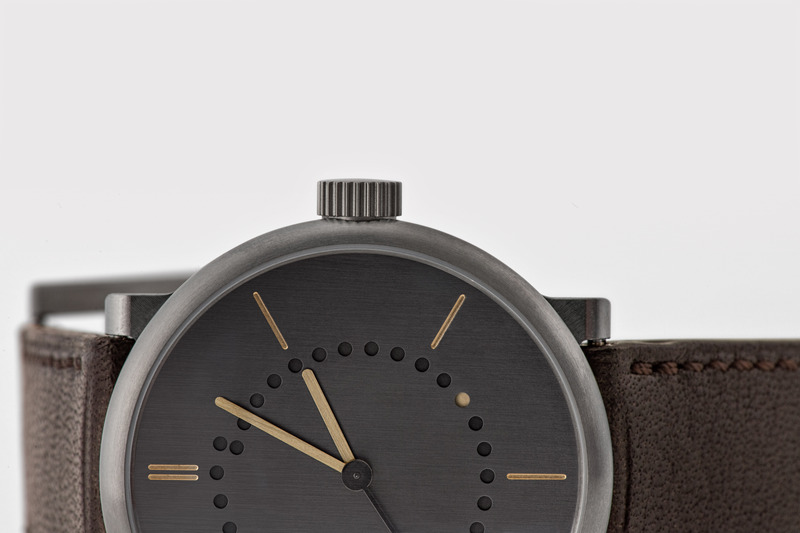 The brass dial is hand-patinated through an antique sculpture restoration process, turning it a dark grey color. The indices and date dot are then milled out to reveal the metal beneath. The hand-satinated brass hour and minute hands are rendered instantly visible by hand-patinating the brass second hand. 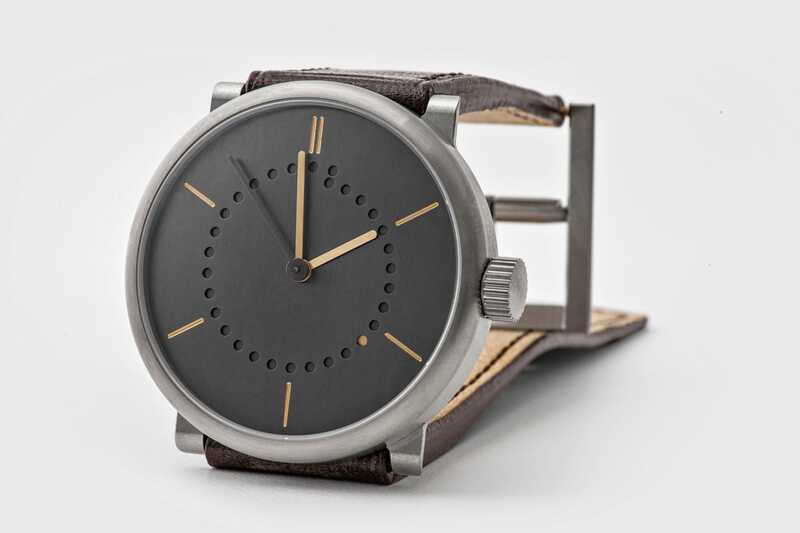 date patina is the maximum reduction execution of the ochs und junior date watch; its concept resembles that of visible concrete in modern architecture. 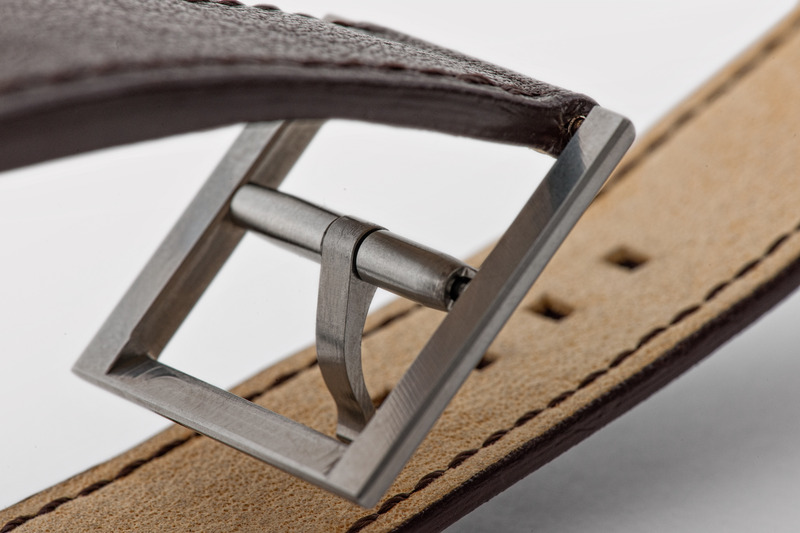 Each watch is a unique piece due to natural differences in the hand-patination and satination processes. More information about the ochs und junior date.